The petitioner completed his graduation from Rohilkhand University, Bareilly with 44.83% marks. The petitioner also has a BEd which he obtained in 2011 from Indira Gandhi National Open University. He appeared in the UPTET Examination in 2011 in which he obtained 116 out of 150 marks. 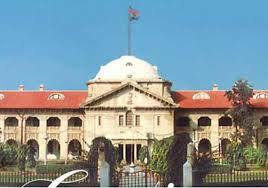 The petitioner applied for the post of Assistant Teacher in pursuance of an advertisement dated 30 November 2011. On 6 February 2015, the petitioner was given an order of appointment by the Basic Education Officer, Pilibhit. On 23 June 2015, a notice to show cause was issued to the petitioner by the fourth respondent. The principal ground on which the notice to show cause was issued was that the petitioner failed to fulfil the norms prescribed by the National Council for Teacher Education1 in a notification dated 23 August 2010 issued under Section 23(1) of the Right of Children to Free and Compulsory Education Act, 20092 inasmuch as he had not completed his BA/BSc with at least 45% marks in terms of NCTE's notification dated 29 July 2011. The petitioner submitted a reply to the notice to show cause on 29 June 2015. An order was passed on 30 June 2015 cancelling the appointment of the petitioner. That has given rise to the filing of a writ petition. By the writ proceedings, the petitioner seeks to challenge the constitutional validity of the requirement imposed by NCTE in Para 3 of its notification dated 23 August 2010 (as amended on 29 July 2011) under which a minimum of 45% marks in graduation is required. The prescription of this percentage is urged to be violative of Article 14 of the Constitution. The principal basis for this submission is founded on a judgment of a learned Single Judge of the Uttarakhand High Court dated 20 August 2011 in Baldev Singh vs. State of Uttarakhand3. "23. (1) Any person possessing such minimum qualifications, as laid down by an academic authority, authorized by the Central Government, by notification, shall be eligible for appointment as a teacher. (2)Where a State does not have adequate institutions offering courses or training in teacher education, or teachers possessing minimum qualifications as laid down under sub-section (1) are not available in sufficient numbers, the Central Government may, if it deems necessary, by notification, relax the minimum qualifications required for appointment as a teacher, for such period, not exceeding five years, as may be specified in that notification: Provided that a teacher who, at the commencement of this Act, does not possess minimum qualifications as laid down under sub-section (1), shall acquire such minimum qualifications within a period of five years. (3)The salary and allowances payable to, and the terms and conditions of service of, teacher shall be such as may prescribed." On 31 March 2010, the Central Government notified NCTE as the academic authority which was authorized to prescribe the minimum qualifications for appointment as a teacher. Under the RTE Act, every child of the age of 6 to 14 years has been recognized to have a right to free and compulsory education in a neighbourhood school till the completion of elementary education. Elementary education has been defined in Section 2(f), to mean education from classes I to VII. (b)Pass in the Teacher Eligibility Test (TET), to be conducted by the appropriate Government in accordance with the Guidelines framed by the NCTE for the purpose. Senior Secondary (or its equivalent) with at least 50% marks and 4-year B.A./B.Sc. Ed. or B.A. Ed./B.Sc. Ed. (b)Pass in the Teacher Eligibility Test (TET), to be conducted by the appropriate Government in accordance with the Guidelines framed by the NCTE for the purpose." (iii) A pass in the teacher eligibility test (TET). (a)with B.A./B.Sc. with at least 50% marks and B.Ed. qualification shall also be eligible for appointment for class I to V upto 1st January, 2012, provided he undergoes, after appointment, an NCTE recognised 6-month special programme in Elementary Education. (b)with D.Ed. (Special Education) or B.Ed. (Special Education) qualification shall undergo, after appointment, an NCTE recognised 6-month special programme in Elementary Education." (b) with D.Ed. (Special Education) or B.Ed. (Special Education) qualification shall undergo, after appointment an NCTE recognized 6-month Special Programme in Elementary Education." Admittedly, the petitioner does not fulfil even the amended requirement of 45% marks at graduation. The submission of the petitioner is that NCTE has no statutory power to lay down the minimum qualifying marks for BA/BSc at 50% (subsequently modified to 45%) on the ground that this would lie within the authority of the Union Government under the provisions of Section 23(2) of the RTE Act. The second submission which has been urged, is that a person who has passed the BEd examination after having secured admission to the course in accordance with the applicable Regulations, cannot be excluded from applying as a primary teacher for classes I to V on the ground that he or she does not possess the minimum stipulated percentage of marks in the BA/BSc and this would be violative of Article 14 of the Constitution. In this regard, reliance has been placed on the judgment of a learned Single Judge of the Uttarakhand High Court in Baldev Singh (supra) in which it was held that NCTE has acted arbitrarily in imposing such a requirement since there would be no intelligible differentia between a candidate who has less than 50% marks and one who has more than 50% marks at graduation. Thirdly, it has been submitted that once NCTE had prescribed the minimum qualification of a senior secondary certificate, its statutory function had ended and there was no occasion for it to prescribe a minimum requirement of graduation with a stipulated percentage of marks. The first submission proceeds on a misconception of the provisions of Section 23 of the RTE Act. Under sub-section (1), the minimum qualifications so as to enable a person to be eligible for appointment as a teacher have to be laid down by an academic authority authorized by the Central Government. NCTE is that authority. Hence, while stipulating the minimum qualifications, it is open to NCTE to prescribe that a candidate should hold the qualifications which it requires with a certain stipulated percentage of marks. The statutory powers of an expert body cannot be restricted by imposing artificial limitations not contemplated by the statute. The purpose of ensuring minimum qualifications and of vesting the power to prescribe them in an expert body authorized by the Central Government is to ensure the provision of education of a certain quality to young students who pursue elementary education. Hence, consistent with this regulatory power, the authority prescribing the minimum qualifications does equally have the jurisdiction to determine as to whether a candidate in order to be regarded as eligible should have a qualification with a stipulated percentage of marks. The power of relaxation which has been granted by sub-section (2) to the Central Government is of a different nature. Sub-section (2) comes into effect where a State does not have adequate institutions offering courses of teachers' training education or teachers possessing the minimum qualifications as laid down under sub-section (1) in sufficient number. Thereupon, the Central Government has been granted the power to relax the minimum qualifications for a stipulated period. Sub section (2) is a power to relax the qualifications whereas sub-section (1) is a power of NCTE to lay down the qualifications in the first place. In Para 1 of the notification, NCTE has required a senior secondary certificate (or its equivalent) with a stipulated percentage of marks and a diploma in elementary education besides the passing of the TET. A candidate such as the petitioner, who does not possess a diploma in elementary education would not be eligible to teach students of classes I to V in the first place. However, the effect of Para 3 of the notification is that a person with a BA/BSc and a BEd qualification has also been treated to be eligible for appointment as a teacher for classes I to V upto a particular date subject to undergoing an NCTE recognized six month special programme in elementary education after appointment. In that context, it is necessary to note that but for the provisions of Para 3(a), a person like the petitioner who does not have a diploma in elementary education, would not have been eligible to teach students of classes I to V. Under Para 3(a), the candidate must have a BA/BSc with a stipulated percentage of marks (50% under the notification of 23 August 2010 which was subsequently amended to 45% on 29 July 2011) and a BEd. It would be impermissible to hold that all students who have passed the BA/BSc irrespective of their percentage of marks fall in one class and should be treated as eligible. NCTE would even have been within its statutory powers in not introducing a provision in the nature of Para 3 but when it did so, it took a considered view that it was only candidates who had completed their BA/BSc with a stipulated percentage of marks and had passed the BEd who would be eligible. Both the requirements have to be fulfilled. There is nothing arbitrary or unconstitutional in laying down such a requirement. At this stage, it would be necessary to advert to the judgment of the learned Single Judge in Baldev Singh's case, which was decided on 20 August 2011. A special appeal4 was filed before a Division Bench of the Uttarakhand High Court by NCTE but was dismissed in default on 7 May 2013. NCTE has stated in its counter that it has applied before the Uttarakhand High Court for recall of the order of dismissal in default which is pending. "Therefore such B.Ed. degree holders, prior to 2007, who had percentage in their graduation less than 45% were still holding a duly recognised B.Ed. degree. Can such a person be debarred by NCTE (where such a person holds a degree duly recognised by it). Nevertheless, by implication though what NCTE has done precisely this. By imposing an unreasonable restriction of 50% here it has made its own degree invalid. Logically therefore the graduates who are before this Court have obtained less than 50% marks in their graduation are eligible, as they have completed their B.Ed. prior to 27.09.2007 when there was no such restriction and their B.Ed. degree was recognised from NCTE. Nevertheless they are ineligible to even appear in TET. The fact that this condition is unreasonable is reflected in the vacillating attitude of NCTE as well as State Government, who have during the pendency of the writ petitions before this Court, reduced the scale of 50% now to 45%." With great respect, we beg to differ. NCTE has not treated the BEd degree which a candidate has passed as invalid as held in Baldev Singh (supra). The BEd degree continues to be valid. However, what NCTE prescribed by its notification dated 23 August 2010 was that candidates falling within the purview of Para 3 would also be eligible to teach primary students of classes I to V if they hold a BA/BSc with at least 50% and a BEd qualification. This does not amount to an invalidation of the BEd degree but is only a stipulation to the effect that though a candidate does not otherwise fulfil the requirement of Para 1 of the notification (because as in the present case he or she lacks a diploma in elementary education), such a candidate would have to fulfil the requirements of Para 3 (a) in order to be eligible for imparting instruction to students of classes I to V.
The learned Single Judge in Baldev Singh (supra) was of the view that there is no intelligible differentia between a candidate having less than 50% and a candidate having more than 50% in the graduation in order to determine eligibility for appearing in the TET examination. In the view of the learned Single Judge, where the eligibility of a candidate has to be finally judged by the percentage of marks in the TET, the marks which a candidate has obtained in the graduation would be of no relevance. This in our view is, with respect, not a correct approach to the issue. As an expert body, NCTE is entitled to prescribe the requirement of an educational qualification, a training qualification and an eligibility test as has been done for the appointment of a person as a teacher at a certain level. Prescribing the percentage of marks which a candidate should obtain is as integral to the stipulation as is the prescription of the requirement of a qualification and one cannot be disassociated from the other. These are matters which lie within the domain of the expert body which is entrusted with the task under Section 23(1) of the RTE Act. It would, in the very nature of things, be impermissible for the High Court to inquire into the efficacy of that prescription or to determine whether an alternative prescription would equally be efficacious. If a modification is to be made to a qualification which is prescribed, it is for the authority and the authority alone to do so. There is nothing arbitrary or in violation of Article 14 of the Constitution. The final submission to the effect that NCTE having prescribed a senior secondary certificate for teaching classes I to V had no further statutory power to prescribe a requirement of a BA/BSc with at least 50% marks and a BEd qualification in Para 3 is without substance. If NCTE were not to make a provision in the nature as contained in Para 3, the petitioner would, in any case, not be eligible since he did not have a diploma in elementary education. It was because of the fact that NCTE made a provision in Para 3 that persons falling within the purview of that category are also eligible for teaching students of classes I to V.
The petitioner secured appointment as an Assistant Teacher though, admittedly, he does not fulfil the requirement prescribed in terms of the notification of NCTE dated 23 August 2010, as amended on 29 July 2011. We may also note that in the Government Order dated 27 September 2011 itself, with reference to which applications were invited, the requirement which was stipulated was that a candidate should have obtained at least 50% marks in the graduation together with a BEd degree. The petitioner having applied in pursuance of such an advertisement, would be bound by the terms of the advertisement. For the reasons which we have indicated, we find no substance in the constitutional challenge. Hence, the petitioner would not be eligible to any relief. The petition is, accordingly, dismissed. There shall be no order as to costs.